Albert is a well known for his entrepreneurial spirit. He is a graduate of economics and his immense wealth of experience in IT has been translated into several achievements. With a rich family background of international textile and retailing — his family has been running textile and retailing businesses for about 30-years –Albert couldn’t have found a better place to fuel his love for business trade. Consequently, he has built massive business connections in Turkey, Asia, Europe, USA, Middle East as well as Australia. Albert also has extensive experience that cuts across different industries—banking, finance, etc. He is a board member of the Australia Turkish Business Council and played a critical role in fostering trade deals between Australia and Turkey. He is a passionate lover of cultures and also loves travelling and rendering help to humanity through charity organizations. 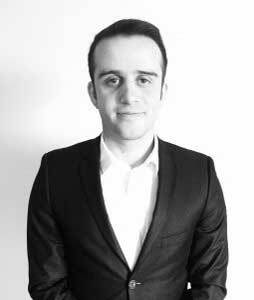 Emre is a successful businessman in the export of textile products. He is also a real estate investor and consultant who has built immense success in Turkey. His achievements can be attributed to the broad network of connections he has made over the years in Turkey. He brings with his more than 15 years’ management and sales experience previously working in different industries. Trang is an epitome of a complete businesswoman with several accomplishments and experience spanning over 20-years in the export of chemical and food products. She has successful businesses in her name. She is an investment consultant and has experienced immense success in this sphere of endeavour while in Vietnam. Her investments are diversified into different area of business, all around world, and her negotiating skills are second to none. A graduate of chemical engineering; she has also completed an investment course to strengthen her area of expertise. While satisfying her core interest, she has built several connections along the way, with a wide range of Vietnamese business groups. Her avid interest in investment and property development has known no bound, alongside travelling, history and politics. Peng is one those that combine several things into one. He is an operational management consultant. He also has expertise in business development, marketing and product sourcing with a special focus on the Chinese market. 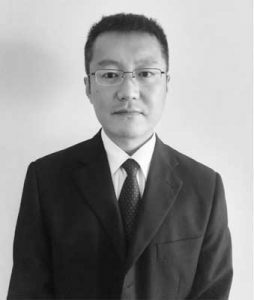 With over 15-years experience in export sales, mainly in chemical products, Zhang has enough business acumen in his repertoire. With great expertise and skill, he is combining entrepreneurial creativity and business, to make giant strides and drive businesses in a cost-effective and seamless manner. Having spent over 15-years in international trading, he has amassed a rigid and extended network with several Chinese organizations to put him on the world stage as regards business operations. After graduating from the university, he spent several years in Turkey and Northern Cyprus. He has so many accomplishments in the area of market development and product sourcing, which he is leveraging to take Xmport to a higher level. Jeffrey is powerful media and communication expert whose business instincts and clarity of vision have moved companies he has worked with through rapid and continuous growth. For over 14 years, Jeffey has been delivering outstanding value as a media and sales consultant in Australia, with a long-term experience working with peak bodies and the government. He finds his greatest motivation initiating and negotiating deals, engendering strong media presence,helping buyers identify products of high-quality and achieving business objectives. Jeffrey is distinguished by his passion to meeting customers’ needs and market demand.His contagious enthusiasm has in still in him dedication and extraordinary energy in an environment where innovation and creativity are encouraged.Jeffrey does not only set lofty goals, he motivates people to deliver outstanding results. An accomplished senior purchasing specialist for Thailand and Australia market, with proven ability to improve processes and decrease costs. An exceptional and goal-driven customer service agent, with massive connections in Thailand, which helps her to maintain a healthy relationship between vendors and ensure that they are providing the highest quality, most competitive pricing performance. Paranee has carved out a niche for herself in operational excellence, delivering stand-out performances in the management of clients’ requirements.Her unparalleled customer service agent skills have moved her to the forefront of complaints resolution through the timely supply of feedbacks to a varying number of issues, to militate against customers’ dissatisfaction and improve product and service quality. Many of her successes can be attributed to the extensive network of connections she has built over the years in Thailand. They have paved her career path and become stepping stones for greater achievements. Ily is a result-oriented sales consultant with a drive to exceed sales targets and generate strong revenue for business. His expertise cuts across sales of commercial kitchenware and food additive products, restaurant and bar management, and hospitality. He is motivated and goal-driven, having built extensive connections within the Australian hospitality industry and has a track record of success in generating repeat business and closing tough sales. Ily is adept at establishing strong bonds with customers, networking with people to create a friendly environment ripe for business.He is comfortable working in a fast-pace growth environment and also aware of the latest market trends and up to date on product knowledge. His vast experience in hospitality has given him an edge to form strong collaborations and influence team members positively to achieve outstanding results.